As famous for its seven-mile stretch of white sand beach as it is for the cliffs that jut out above the bright blue waters on its west end, Negril, despite the amount of visitors it attracts, remains by and large the capital of casual. Although close enough to the north coast to access a variety of attractions, here the order of the day is simple: Hang out at the beach until the sunsets, dance barefoot under the stars, listen to live reggae. In the laid back every day that is the Negril vibe, sometimes the kids need a little adrenaline rush, even the grown up ones. If you aren’t staying at a family all-inclusive resort, this adventure park is a great way to fill your day with fun, laughter with a good night’s sleep for the entire family at the end of the day. An iconic dining experience in the middle of the famous 7 mile stretch of white sand beach, Cosmo’s has been a landmark part of Negril from the town’s earliest days and the lobster, curried conch and other authentic Jamaican dishes are still just as delicious. Time it right to enjoy a cold Red Stripe as you take in the stunning sunset on the beach. Jamaican vacation. 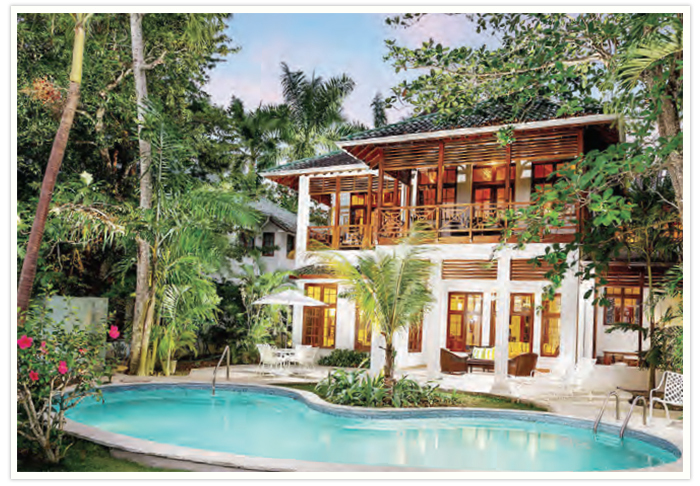 Each location boasts exceptional personal service in a relaxed and carefree idyllic setting. What started out as a Speedway has grown to an entire complex built just for fun. “Arrive and drive” as you hit the circuit in a race car and then keep the adrenaline running high as you actually Race Zip your friends on parallel ziplines or speed down an extreme water slide to plunge into the pool below. There is also a mineral bath and a spot to enjoy a delicious meal before partaking in many of the other activities available at the Park. 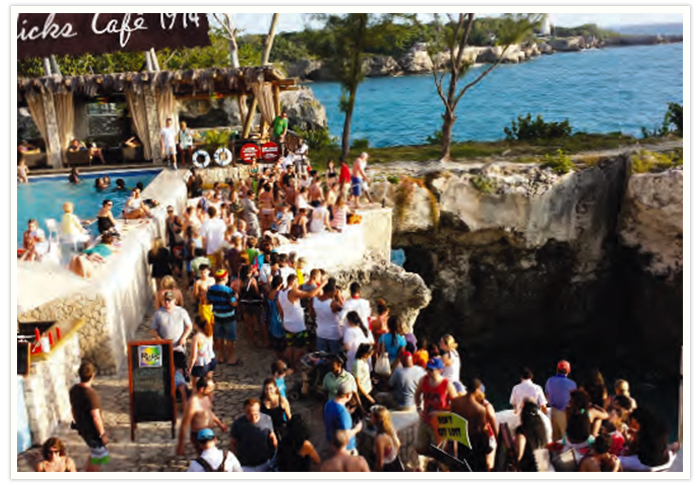 It was one of the first attractions that drew visitors away from the 7-mile beach to the cliff side of Negril. This bar grew from the small, sleepy spot to watch a spectacular sunset in 1974, to a vibrant exciting party spot where people somersault or jump off cliffs before partying to live music into the night. After watching the spectacular sunset of course. 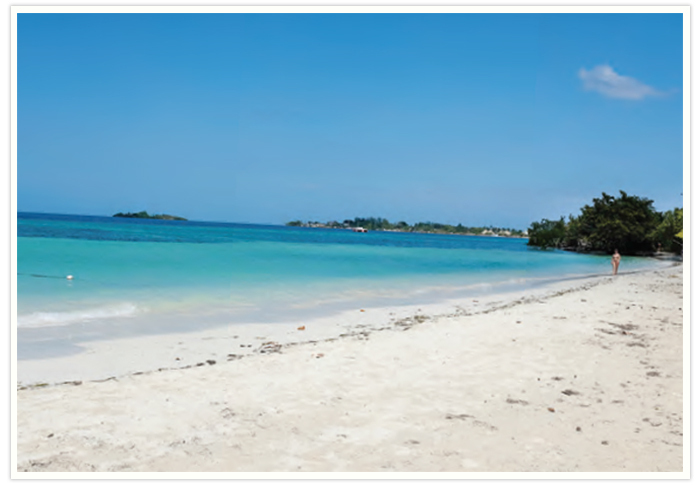 Negril is famous for its 7-mile beach (which is only 4 miles long! ), known in days gone by as the ultimate laid back beach destination. Nowadays, although the water is as beautiful as ever and the sweet smell of ganja still drifts through the air, if you're looking for something a little less crowded, head to Bloody Bay and hang with the locals instead. Boulevard near the Negril Aerodome. 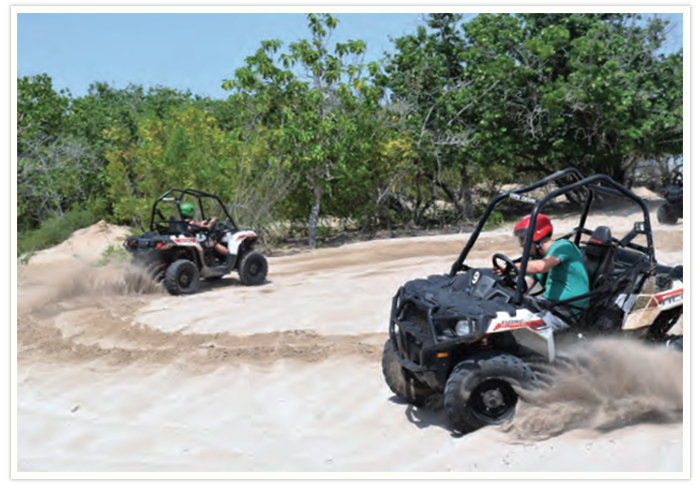 Turn onto the side road at Breezes Grand Resort and Spa, and follow it right to the sand.